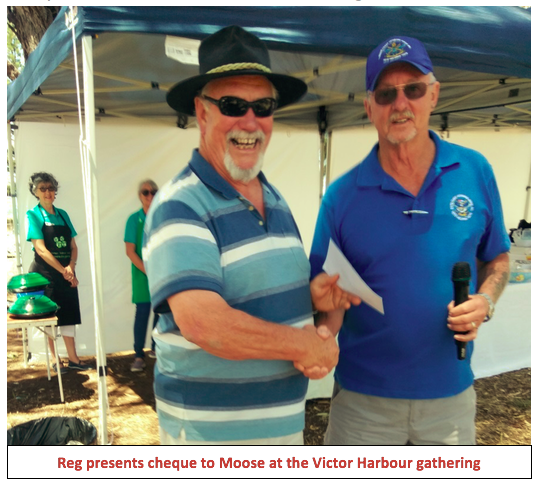 As previously reported the SCV, a group of primarily ex-military individuals and their partners have this year indicated that their fundraising efforts will be directed to support the Trojan’s Trek Foundation. The group conducts a whole range of activities designed to raise money for organisations which support veterans. Functions such as quiz nights, dinner dances and even a stall at the local show are in the broad mix of fundraisers. 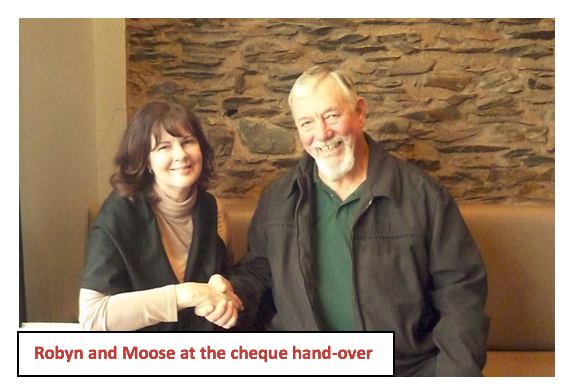 Companion dogs provided through the Royal Society for the Blind have been a recent beneficiary of their efforts and a couple of these animals were present on 19 Jan when Moose was presented with a cheque for the Foundation by Reg Bichel the President. Two organisations which operate in the same space shared an anniversary this year. 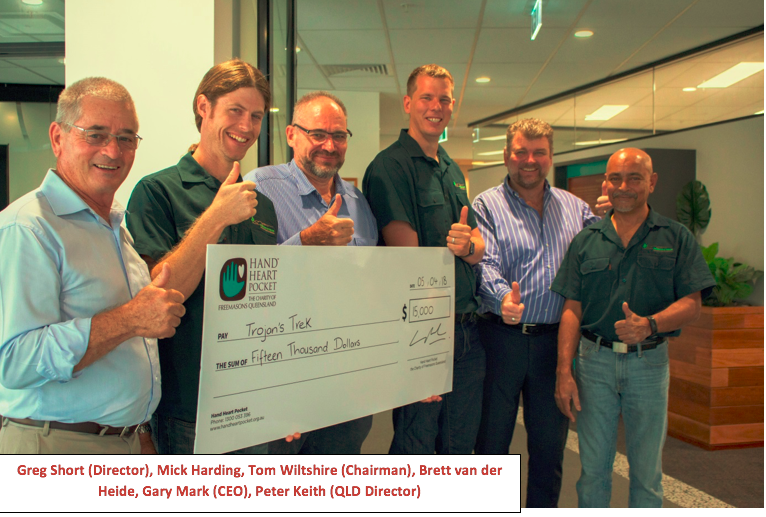 Both the Trojan’s Trek Foundation (TT) and Foundation Shine have just marked 10 years of assisting others struggling with mental health issues. 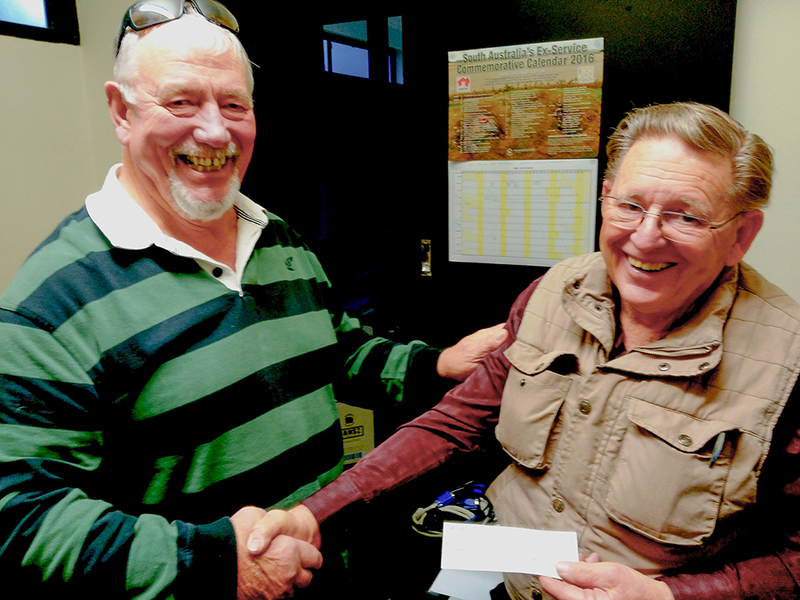 Neither organisation was aware of the occasion until Trojan’s Trek was invited to the Foundation Shine sharing of funds annual dinner at the Entertainment Centre in July this year. The occasion was hosted by a bevy of well-known celebrities and was also attended by His Excellency the Honourable Hieu Van Li AC Governor of South Australia. The evening was graced by a number of the TT board together with a few past trekkers, all of whom reported on a great evening. As a result of the evening’s activities which included some excellent value silent auctions, the TT Foundation received a cheque for $7,500.00. 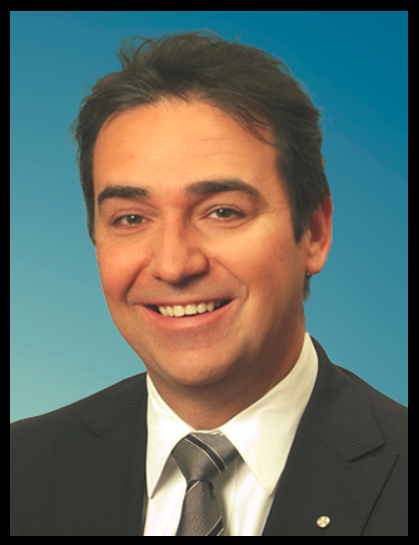 This is the first time the Foundation has benefitted from such philanthropic largess from another, not-for-profit. 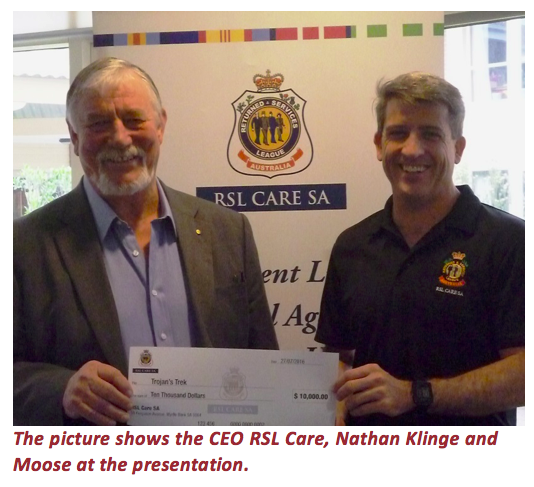 The excellent relationship between the Foundation and RSL care was further enhanced recently with a very generous donation to the cause. 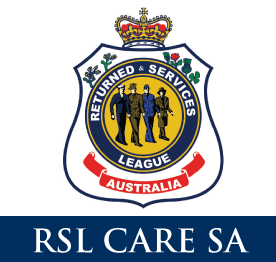 This is not the first time RSL Care SA has assisted Trojan’s Trek and confirms the intent of the RSL Care Board to embrace their philosophy which is to provide “care and support for the benefit of the ex-service and wider community”. The funds will be used on the upcoming SA treks for men and women.